It takes a mighty effort to gain access to the place, but once you succeed you find it is worth the trouble. 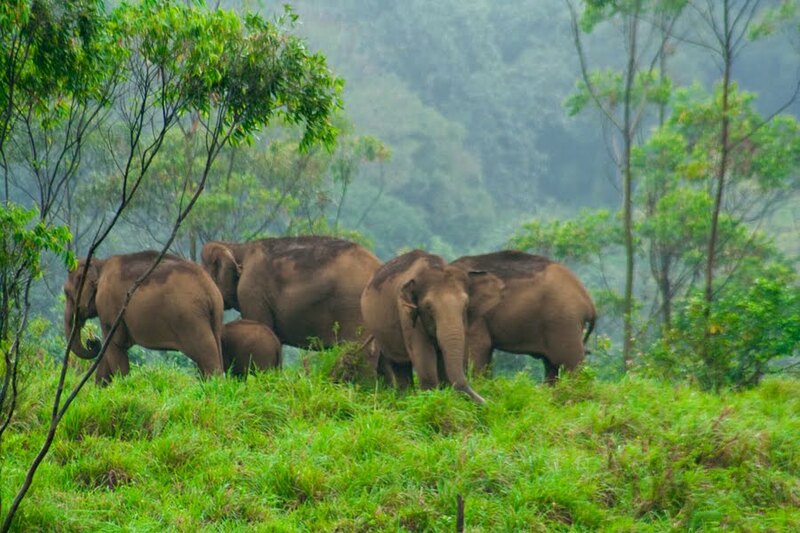 To reach the Gurukula Botanical Sanctuary and Garden, you have to travel a cou ple of kilometres along an unpaved road slithering up another of those jungles in the hilly Wayanad belt. And the moment you enter the Gurukula off Periya, you experience an added tranquillity of nature. There are evergreen forests on all sides. You can see numerous types of butterflies and birds, like the winged parakeet and Mountain Imperial Pigeon. There is the Nilgiri Langur, the sambar deer and the stripenecked mongoose. And, now the interesting bit: one man looks after this oasis. He is a German. Wolfgang Theuerkauf came here 40 years ago, fell in love with the place and stayed on. "During my travels to different parts of the world, I came to India and ended up in the Western Ghats," says Theuerkauf. It was in 1981 that he bought a patch of land and started the Gurukula. "As this area was surrounded by forest, no one was willing to look after it," he says. "I decided to do so." And Theuerkauf felt at home here. "The climate here is fine and it is calm and peaceful," he says. Initially, he had difficulties communicating with the locals, but he managed with sign language. "As for funds, my family in Germany helped me," says Theuerkauf. "We also received donations from some organisations." But today, the sale of coffee, tapioca and spices has added to the income. About 10 acres of the 55-acre sanctuary is a garden and nursery, while the rest is restored forest land, fields and grazing areas. 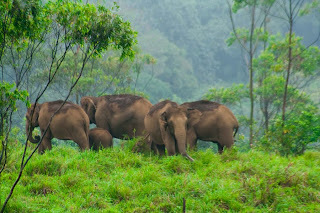 In fact, the Gurukula is home to nearly 2,000 species of plants from the Western Ghats, and is rich in fauna and flora. But there is a hint of danger too. There are more than 20 varieties of snakes, of which seven are very poisonous. The Gurukula practises organic farming, animal husbandry, and alternate energy mechanisms. 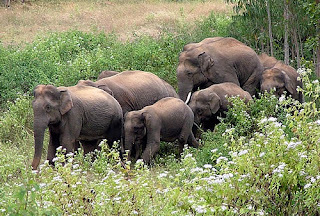 They have a programme called `School in the Forest' where schoolchildren and adults live and work in the sanctuary. A five-month-long programme costs Rs 50,000, which includes food, accommodation, instruction and travel. In 1981, Theuerkauf received Indian nationality and married a Malayali, Leelama, from Periya. They have a son, Santheeya and a daughter, Anna. Santheeya helps his parents in the garden and Anna is doing her masters in psychology in Bangalore. Suprabha Seshan, a Tamilian, has been assisting Theuerkauf for the past 16 years. Now, as director of the sanctuary, Suprabha gives classes on the conservation of forests. "Today, nature has become a commodity to be used and exploited," says Theuerkauf. "Commercialisation and consumerism have brought the fragile eco system to the verge of extinction. In an industrialised city or a developed country, you may get all the luxuries, but no peace of mind or physical wellbeing. I always prefer places like this." "A few years ago, there were no discussions about conserving nature or preserving biodiversity. But now for our very survival it is necessary , as you can understand even from Kerala's changing climate," he says. Theuerkauf says that nature is under tre mendous pressure. 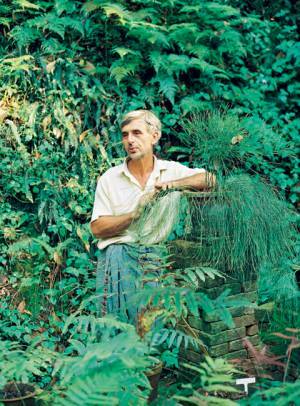 "Every plant and living organism is important," he says. 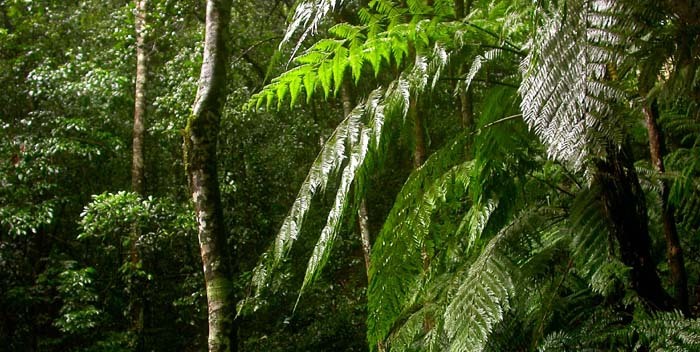 "Our aim is to conserve and preserve disappearing species of flora and fauna. We also grow common plants, which are seen everywhere, to make people aware that these are what they neglect." Theuerkauf also breeds fishes. "I want to preserve and show people different species of fish," he says. His work has received international recognition. The International Union for the Conservation of Nature has named Gurukula as one of the 25 centres of biodiversity in the world. In 2006, he won the Whitley Award, the biggest environment honour in Britain, for the most effective conservation effort across the world. 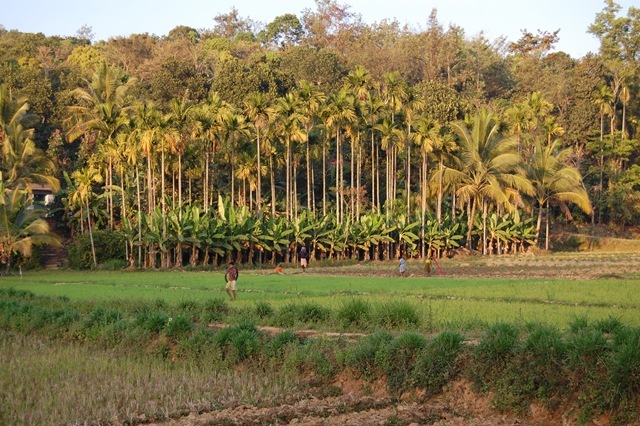 So, a German from the cold climes of Europe living in India is doing his best to preserve eco systems in one rugged southwestern corner of this vast tropical country.